Cold Room Installation - How Much Does It Cost? A cold room typically provides several advantages over a traditional upright or under-counter fridge/freezer, including increased storage space, secure storage of stock and the ability to store different items at different temperatures. These units are sometimes referred to as walk-in fridges and will typically require a one-off, specialist installation. The smallest, entry-level cold rooms typically retail in the region of £5000 but, because there are certain variables when it comes to installing a walk-in fridge or freezer, cold room installation costs can differ depending on the options required and/or the work undertaken to correctly install it. Logistically, it makes sense that a larger cold room might cost more to install – manufacturing and delivery costs will dictate this, although in the long run it can be more beneficial to opt for a larger unit, as these can be significantly more economical in comparison to running and maintaining several smaller fridges and freezers. Cold rooms are versatile in that they can be positioned anywhere that the space allows. Some building owners will opt to locate their cold room outside, which leaves the rest of the kitchen space free for cooking appliances and food preparation machines. This makes sense for sites which have small kitchens. However, if a cold room is situated outside, this can mean that it may require a weather-proof roof to keep it safe from the elements, which naturally could bump up the cost. There are two types of cold room: integral and remote. Integral units have everything built-in, However remote including a network of pipework and condenser to keep hot air away from the kitchen. 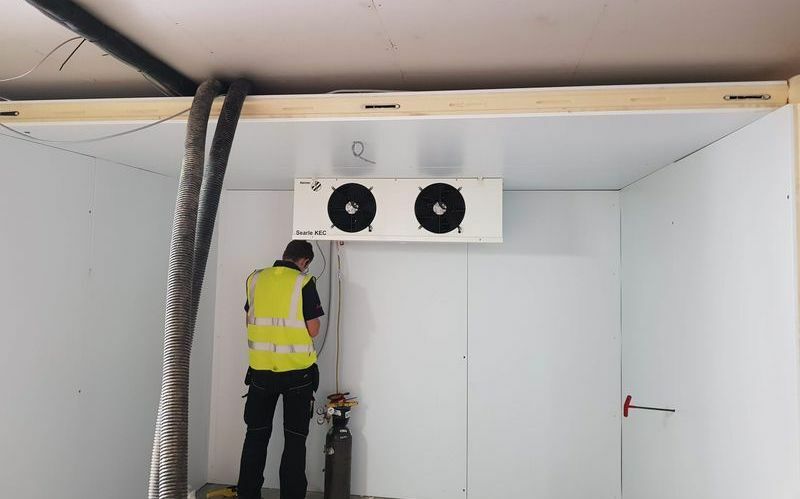 These units can take longer to install, and businesses may encounter additional costs if local authority consultation is required prior to installation (this is usually dependent on where the condenser is located). Shelving or racking is typically unique to the needs of the customer, and many cold rooms come without racking so that it can be installed bespoke to the requirements of the business. Good racking should ensure that food is secure, kept away from the floor and hygienically stored. Racking can be fabricated from stainless steel and is sometimes made from wire mesh for hygiene purposes.